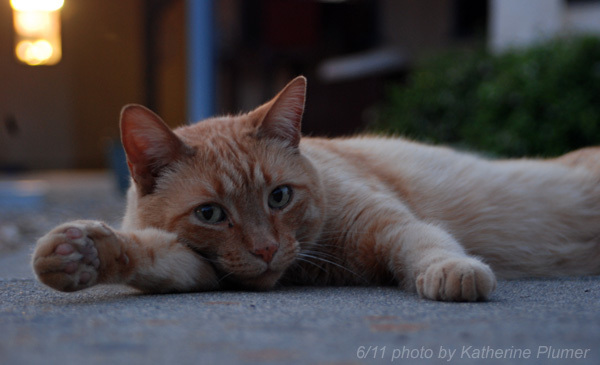 We had the first super hot day of summer today. On the first day of summer. And I'm already tired of the hot weather. I really think I get wimpier every year! Even Olin got a little melty. This is going to rank right up there among my favorite photos of him. 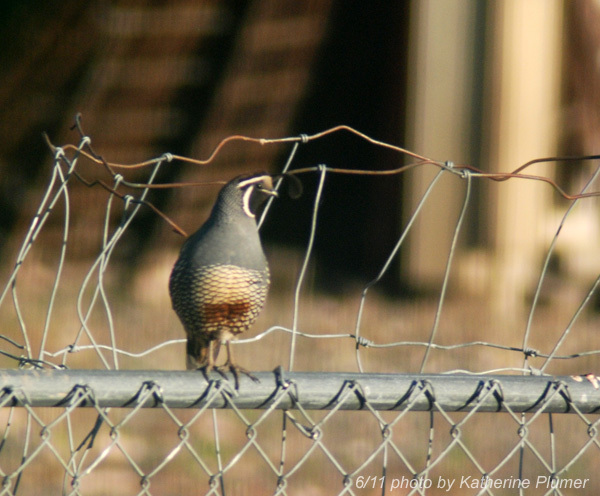 There are a lot more California Quail around this year then I've seen before. I actually took this a couple weeks ago, but forgot about it. They are so skittish they're darn near impossible to photograph, or get anywhere near, so this was taken through my bedroom window, oh well. And here's another terrible photo, pardon it being blurry, I was holding the The Beast camera up over my head to try to get this and it was dark outside. 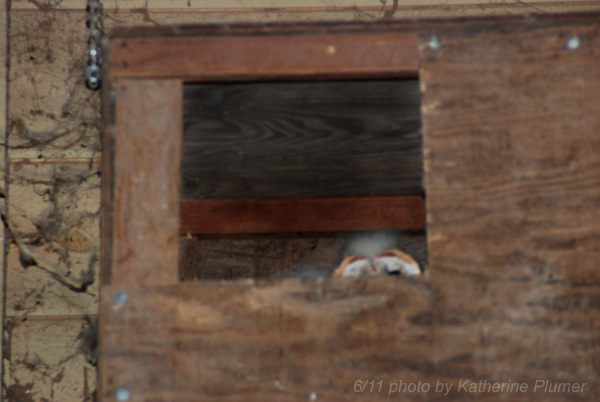 One of the baby owls was peering out of the nest box just before it got all the way dark outside. By the time I got my camera and went back out, it was totally dark, and the owl had stepped back, so this is what I got by "shooting in the dark." LOVE the one of Olin! It's a great picture - you can see it in his eyes.